Oh-so-feminine pastel pearl pendant capturing the classic elegance of the 1950s. 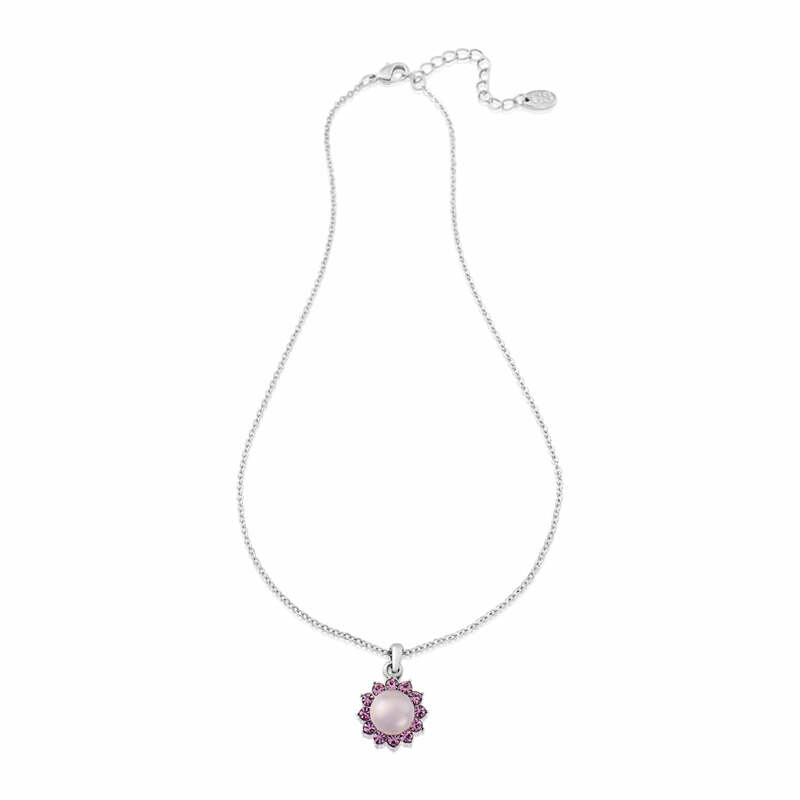 Captivating and elegant, our Haze of Amethyst Pendant is oh-so-feminine. 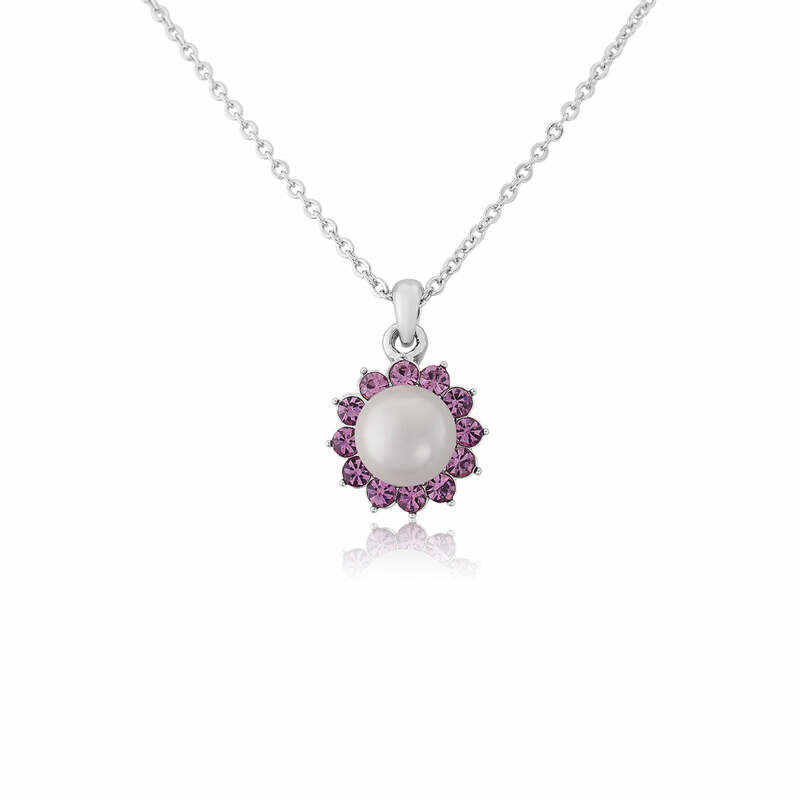 With a centre pearl in a beautiful shade of light dusky mauve, the elegance of this beautiful pendant is brought to life by the sparkling surround of pale amethyst crystals set against a silver tone chain. Inspired by vintage jewellery from the iconic 1950s, Haze of Amethyst Pendant will look divine whether worn at a glamorous evening ball or adding subtle sparkle to a pretty summer outfit. Available with a mix and match collection of coordinating accessories Haze of Amethyst is the perfect wedding choice. Let your maids choose their own individual style whether full retro Rock ‘n’ Roll or the sophistication of Marilyn Monroe elegance – the options are endless and incredibly pretty!